It's time to celebrate! This is my 200th blog post. To be honest, I'm surprised I've made it this far without running out of steam. But, as Monty Python would say, "And now for something completely different". My latest project is probably a little controversial. 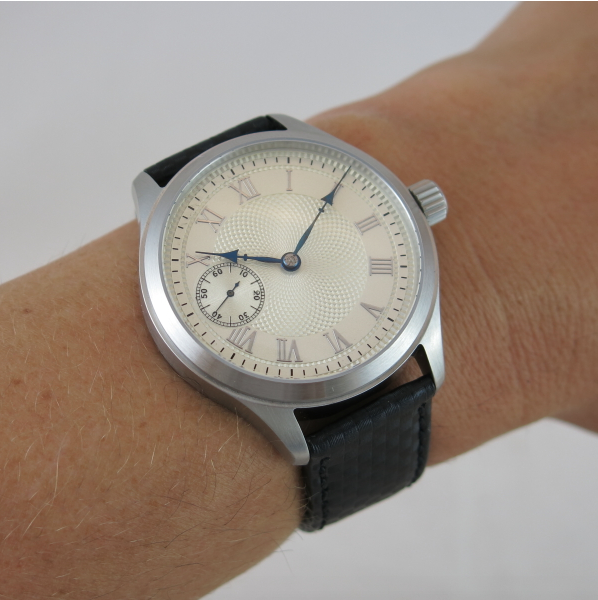 I've always thought it would be interesting to convert a pocket watch to a wrist watch. Specifically one of Hamilton's 10 size movements. What makes it controversial is from a purist's perspective this is purposely creating a franken. In addition, pocket watches aren't designed for the rigors of wrist-wear. They were designed for being vertical and somewhat protected in a pocket. The main concern is the larger mass of the balance wheel and the non-shock protected balance staff pivots. So, let me first start off by saying that no watches were irreparably harmed in this conversion. What has been done can be easily undone. The first step is to decide what movement to use. 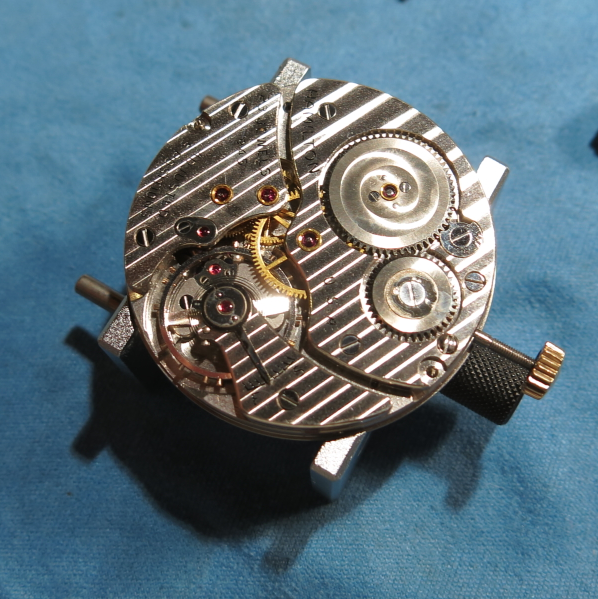 Hamilton's 10 size movements start with the 17 jewel 917, the 21 jewel 921, the 23 jewel 923 or the 23 jewel 945. They are all the same size but they vary based on the jewel count (obviously) as well as the decorative aesthetics. Generally speaking, the higher the jewel count, the higher quality the movement grade. 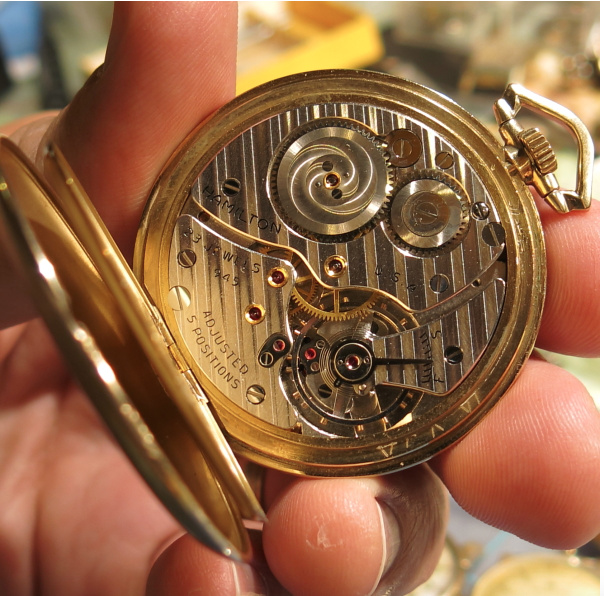 All of Hamilton's watches had a minimum of 17 jewels so even the most basic grade was a very high quality movement. For my project I decided to go with a 23 jewel 945. The 945 is an interesting movement. It was introduced in 1955 and replaced the 923. It's basically a "pimped out" 917 with finer details and six extra jewels. I chose the 945 because my project watch has a display back and if I have the opportunity to enjoy seeing the movement, why not see the best one I can get? Here's the pocket watch I started out with. Obviously it's really nice already. My picture doesn't do it justice. It's a presentation watch to a GM employee. There's no date but I suspect it's from the 1960's. Here's the first glimpse of the movement that is protected under the back cover and the dust cover beneath that. If you look closely, you'll see that something is missing. There's no serial number on 945 movements. So I can't use that to date the watch either. The movement comes out of the case just like a wrist watch... pull the stem and remove the two case screws and it comes out the front. On the back of the movement, the mainspring ratchet wheel is jeweled (top right). The escape wheel is cap jeweled (left) and under the balance wheel you can see the other side of the pallet fork is cap jeweled as well. I won't go through the overhaul process for the movement since it's the same as any wrist watch, just the parts are a lot larger. 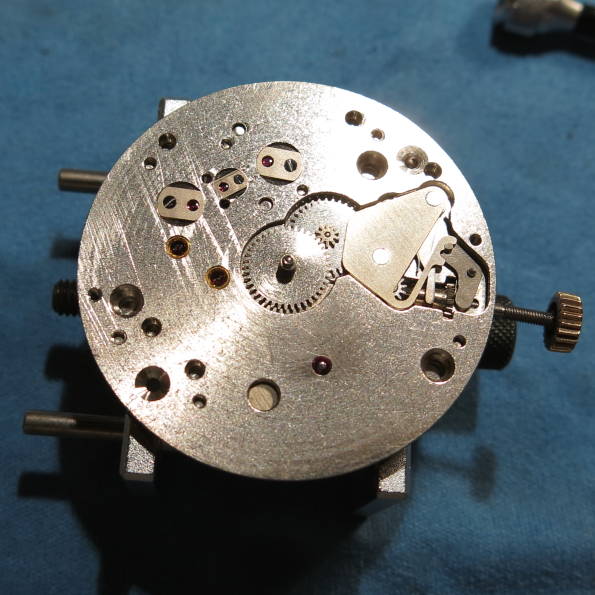 I cleaned and oiled the movement and then I installed it in my project case with a new dial with the stem at 3 (instead of the stem at 12 with a pocket watch). I purchased the case, dial and new hands off of eBay from a supplier in China. Everything fit nicely into the case using the movement ring supplied with the kit. I had two problems with this project. First, the crown that comes with the case isn't tapped to match the threads of a standard 917 watch. I contacted the seller in Hong Kong and he's sending me a matching stem free of charge (that was really cool of him). Second, the hands I purchased weren't very high quality and the holes weren't quite the right size. I broke one of them trying to open the holes a bit... my fault entirely. Other than that it went together very nicely. Here's a shot of the installed movement, purring away nicely beneath the glass display back. Here's the front, safely protected by a sapphire crystal. I picked out the dial from my supplier in Hong Kong and I used some spare hands I had from a 917 movement. 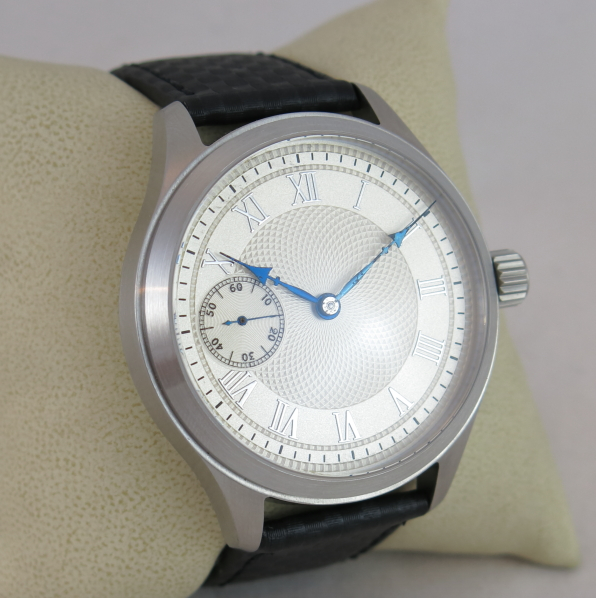 Here's another shot to showcase the engine turning of the dial. You can see my hands have a little "age" to them in this shot. And finally, here's a wrist shot. This is a BIG watch at 45mm wide. I can't wait for my new stem to arrive so I can wear this watch more often! This was a great project - I'm generally pleased with the results. The hands were a bummer and I wish I knew I needed a special stem but other than that this project was really fun! 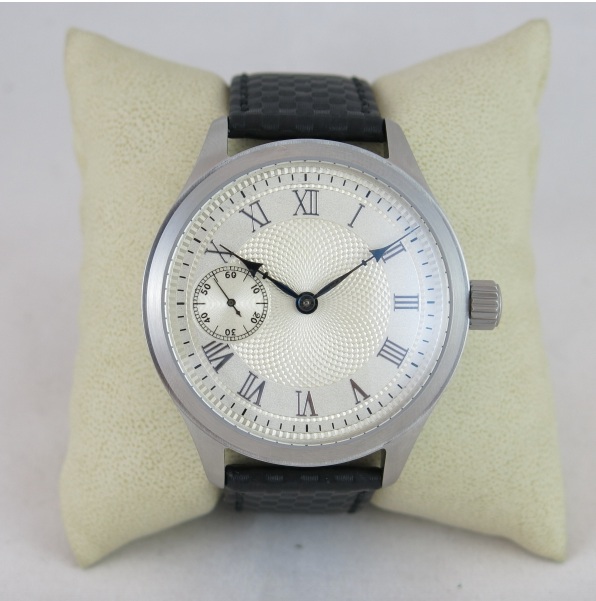 I've heard that such a conversion can be tricky, as pocket watch movements often lack the shock protection of wristwatch movements. Is there any truth to that? I think that's probably a valid concern. I've seen conversions with 16 size movements and that would really bother me. But that said, Hamilton movements a very solidly built so as long as you don't drop it, bang it into a door jamb or otherwise seriously jar it - I suspect it will be fine. That said, this watch of mine is only for "dress occasions" - not sports, yard work or situations where it's going to be banged around. Congratulations on reaching the 200 mark Dan! Thanks for sharing your Hamilton knowledge and experiences - every new post is as enjoyable as the last. Would you mind sharing where you obtained the kit? I'm interested in a similar project. Thanks! The case, dial and stem (you'll need the stem too) came from eBay with a seller in Hong Kong. The hands came from a 12 size Hamilton watch - which is the best option for hands since new ones might need to be sized to fit (broached). Can you provide any additional info as to how you found the supplier for the case? What did you search for on eBay? I have been searching for a while now and have found only one case which looks very cheap compared to the one in your project, you even have to drill the crown hole yourself. Any additional info would be greatly appreciated. Look on eBay for "Hamilton 945 case" and several options pop up depending on what's available at that time. Mine was around $80. Plus you'll need the stems that come from the same seller and probably a dial.. Their hands will fit but you'll likely need to broach them. However, any 12 size Hamilton (like a 912) can provide hands. wow, its so beautiful !! Do you know of any way to convert without replacing the original casing and face? I really would like to convert mine but it has really high sentimental value and I don't want to replace the original casing. I've seen a contraption on eBay that is some sort of bracket that holds pocket watch but it looks pretty clunky to me. I don't know how comfortable I'd be with an heirloom strapped to a do-hicky on my wrist. If the watch is that sentimental, put it on a chain and wear as it was intended. 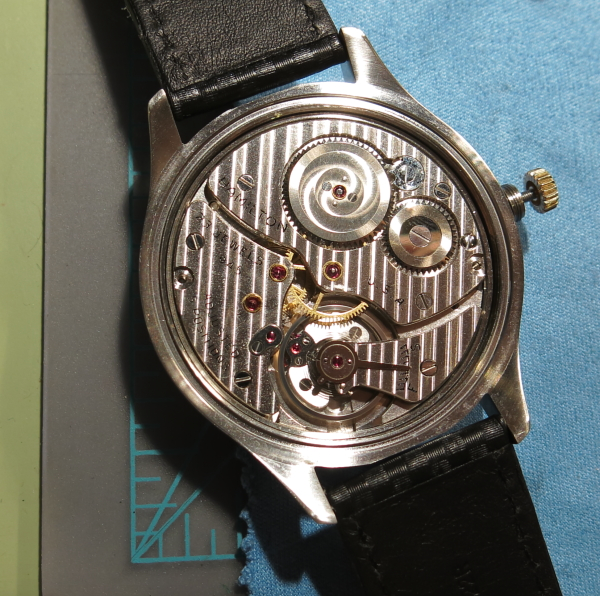 As for re-using the dial... you'd want to start with a hunting cased movement so the stem is at the 3:00 position. 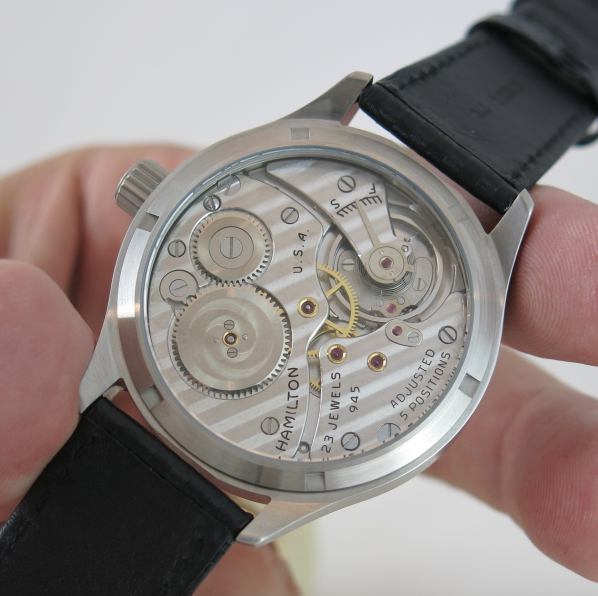 Most 12S or larger hunting cased Hamilton PWs are negative set - so the stem is integral to the case, not the movement. You'd need to solve for that with some sort of stem / sleeve design, which would likely require a custom case for sure. With an open faced PW like the 917, 945, et al, the stem is at the 12 position - so if you reused the dial you'd have to look sideways at the watch, as the 9 would be up and the 3 down. That would get old quickly. Thus, projects like the above use positive set grades and replacement dials. They turn out very nice, I think, but they're not as robust to shocks as a modern wrist watch is - so you need to be careful not to bang them into things like door jambs, etc. Hey what about converting a wrist watch into a pocket watch? Any help with that appreciated. 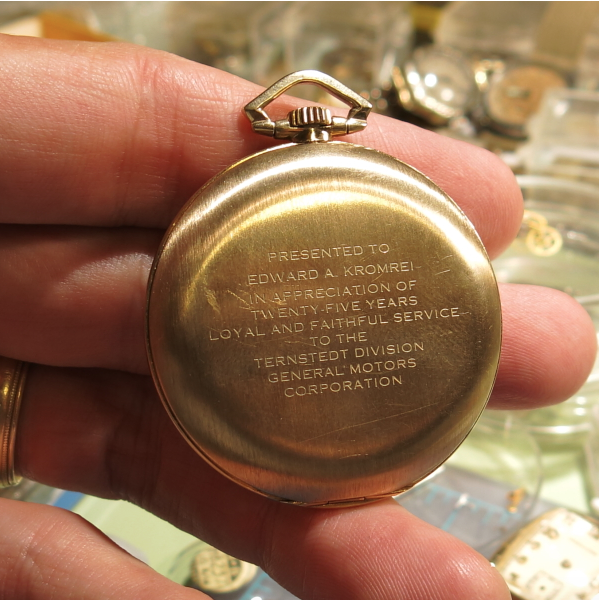 I have a rash that develops on my wrist with any wrist bands, so I bought a pocket watch; however, I have a wrist watch from my father-in-law I'd like to keep and still use, but as a pocket watch. Considering you have an etsy store, I'd like to ask...would you be up to the challenge for shedding the wrist straps and figuring out some way to house it within a bigger casing or simply attach it to a jewelry chain? For pay, of course. You could try a nylon NATO strap so only the strap touches your wrist. 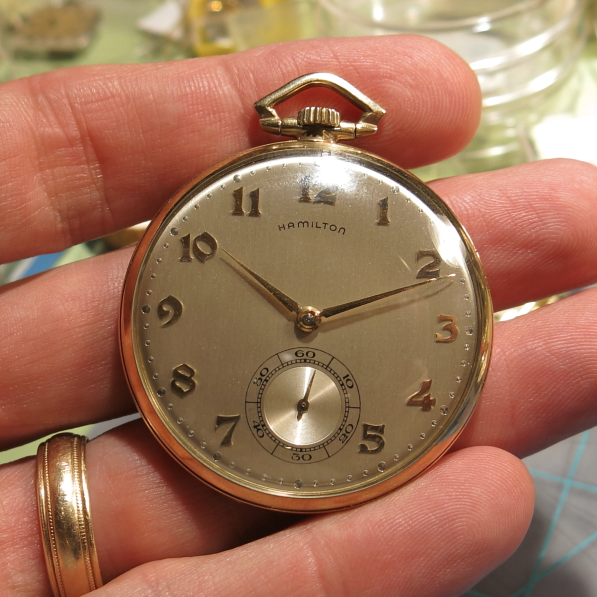 As for a pocket watch conversion, a jeweler is probably a better choice. They could figure something out I bet.